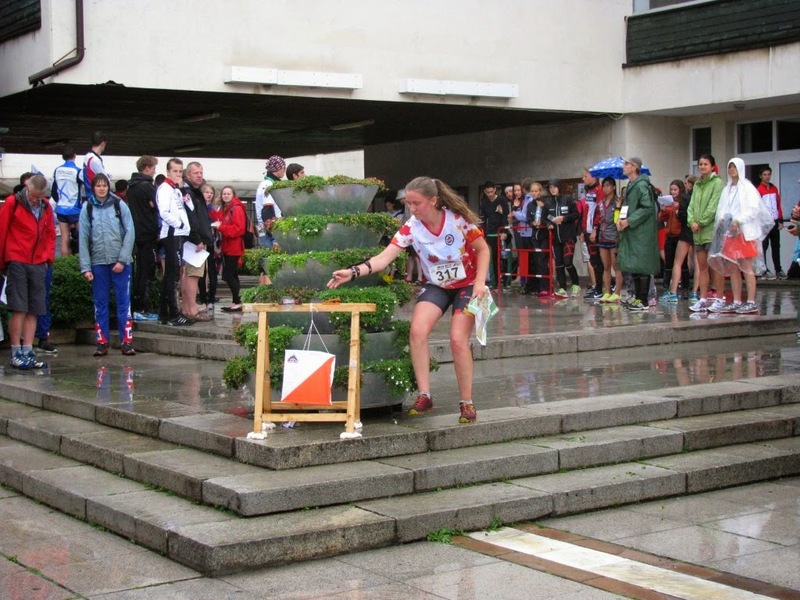 JWOC 2014 ended as every JWOC does: with the relay. 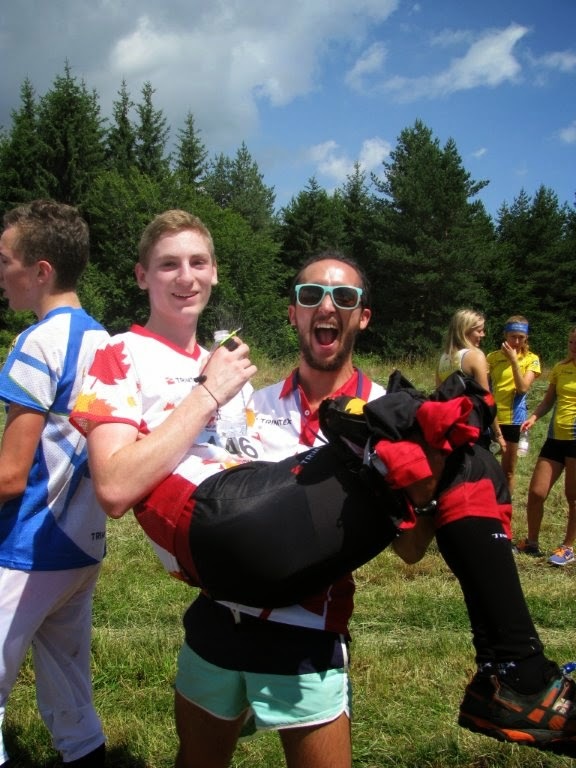 This year, team Canada boasted two mens teams and one mixed girls team. On team one, Adam ran first, Michael second and Alex last. Team two consisted of Robbie on leg one, myself (having, in a slight moment of insanity, agreed to run it) on leg two and Trevor running the anchor leg. 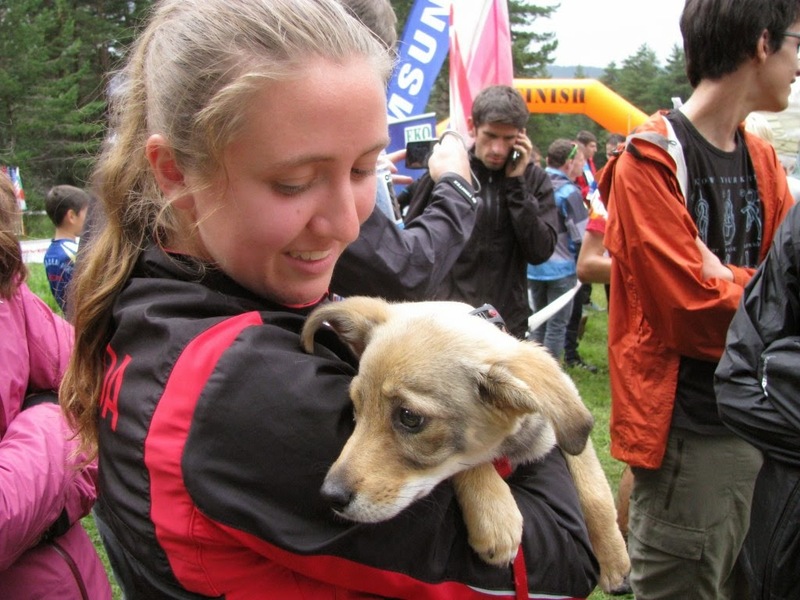 Emma was able to find a team where a Hungarian girl ran the first leg, a Japanese girl the second and herself the last. The day started out slightly overcast, although with a 100% chance of rain by day's end. Indeed, as the girls lined up for their 10:00 start, I did not envy them with the rain pouring down. Most of them looked incredibly frozen, and yet very determined. Unfortunately, the facepaint we used was 100% water soluble, and so by the time Adam and Robbie started off, most of it was gone. The arena was at the base of a ski hill, with a spectator control about halfway up the steep slope, and a short loop in the forest on the other side before a dash along the finish chute. 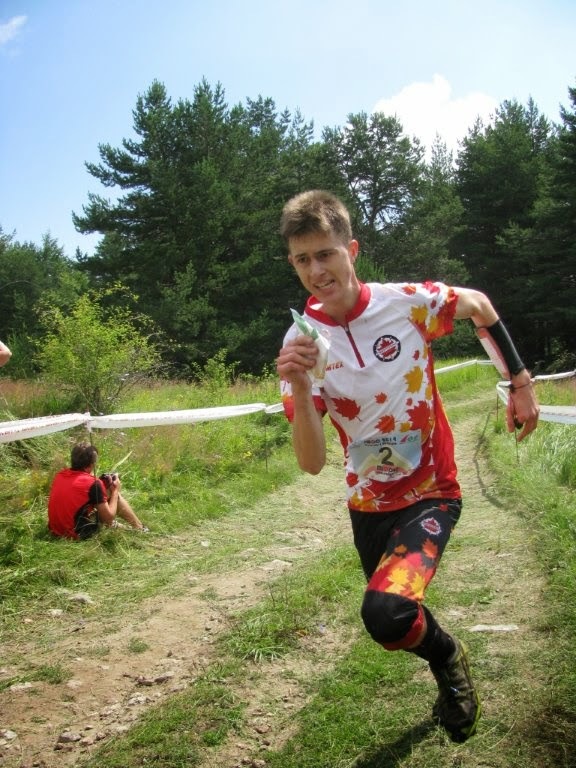 I believe that that spectator control was the most difficult part of the course! It was an uphill battle to get there, and then even more uphill to get to the next control. 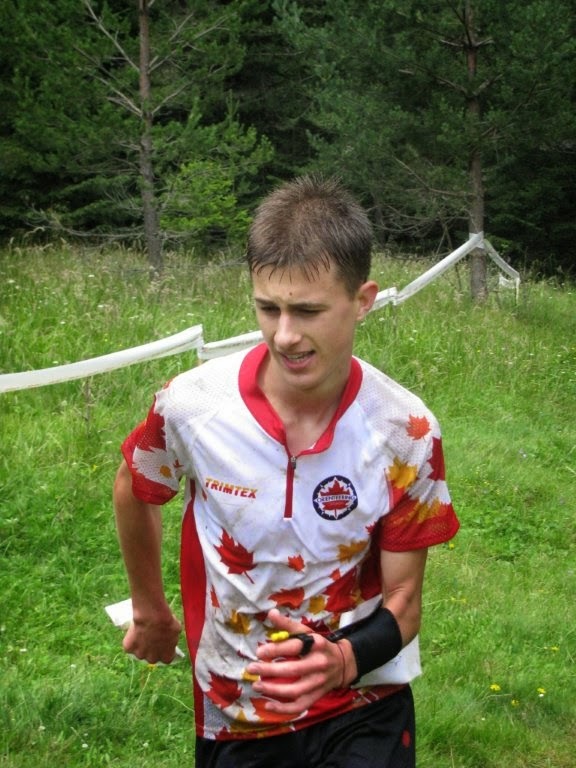 It was either that, or slogging through the mud right before climbing the hill to the spectator. The favourites for the day, Sweden, did not disappoint coming in first in both the men and women’s relays. 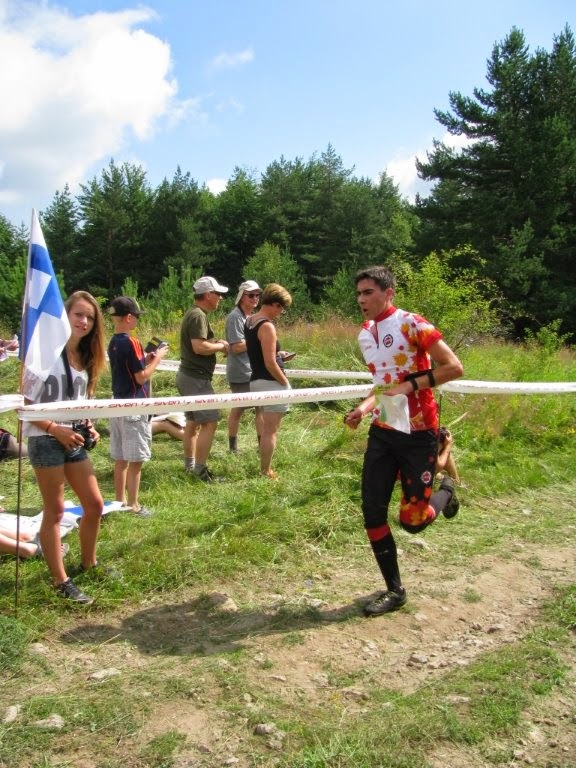 Unfortunately, I was out in the woods for the finish, and so only heard of the results once I was done. 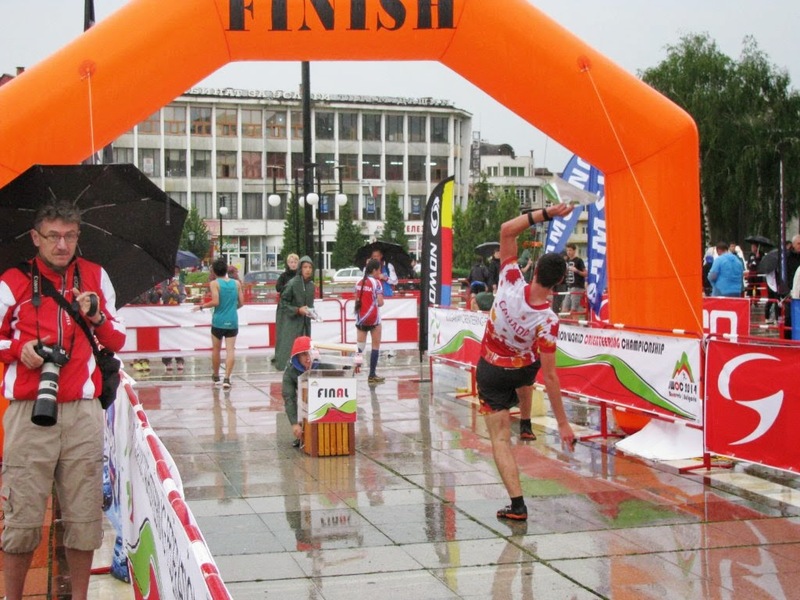 All in all, it was a great (if wet) finish to JWOC 2014. The terrain was definitely unique and the competition fierce. 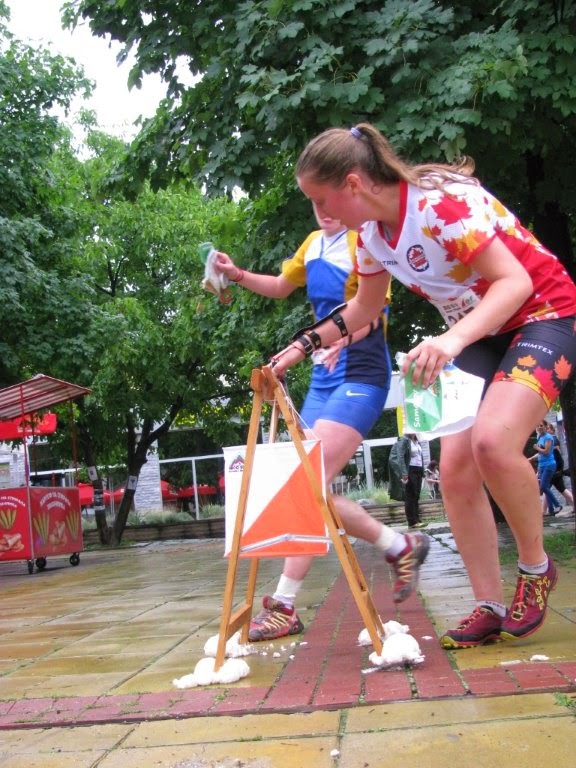 A big thanks to all the Bulgarian volunteers and officials who put so much effort into JWOC 2014! 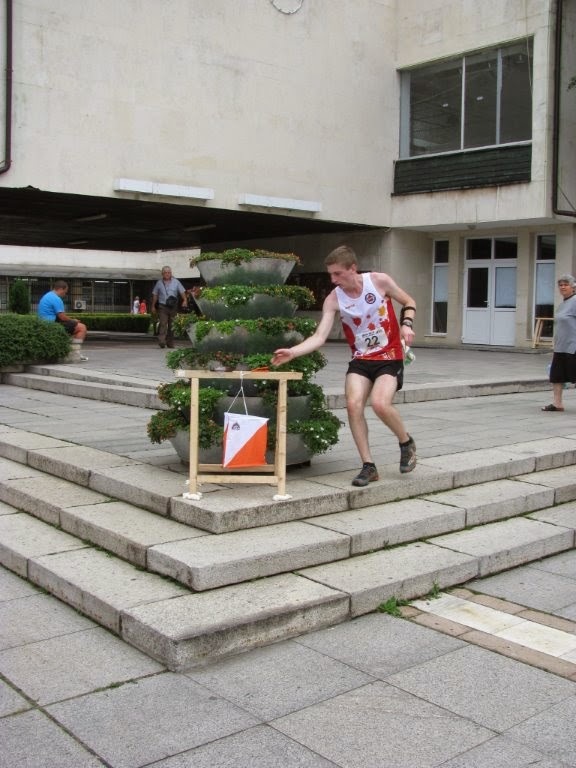 Today was the JWOC middle final. Based on the qualification race, Alex, Pia and Emma ran the B-final and Adam, Michael, Robbie and Trevor ran the C-final. 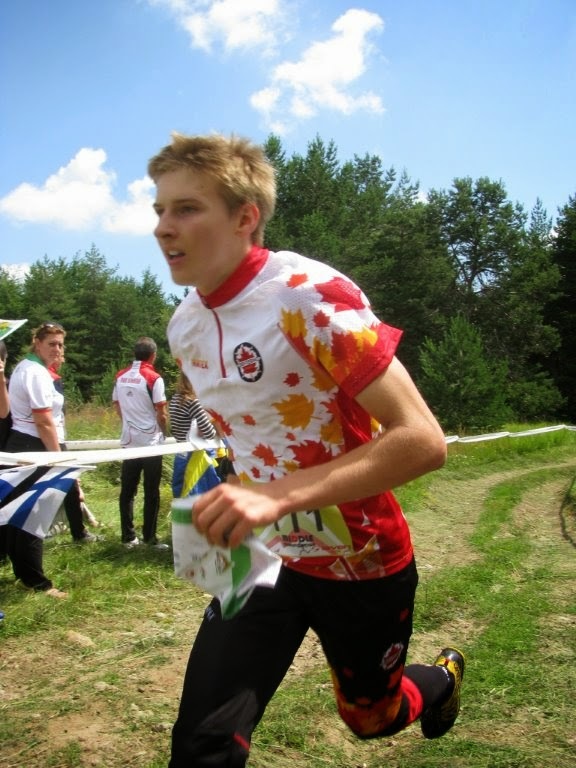 Alex had another good race today, finishing in 25th place in the B-final. 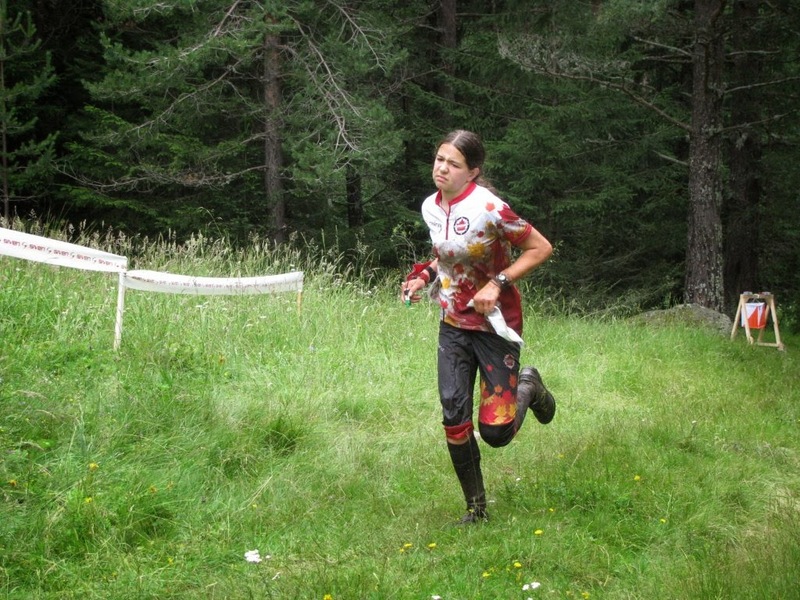 Pia and Emma also had good runs in the B-final, with Pia in 28th place and Emma in 33rd. Both had fairly clean runs and mostly lost time on running speed. 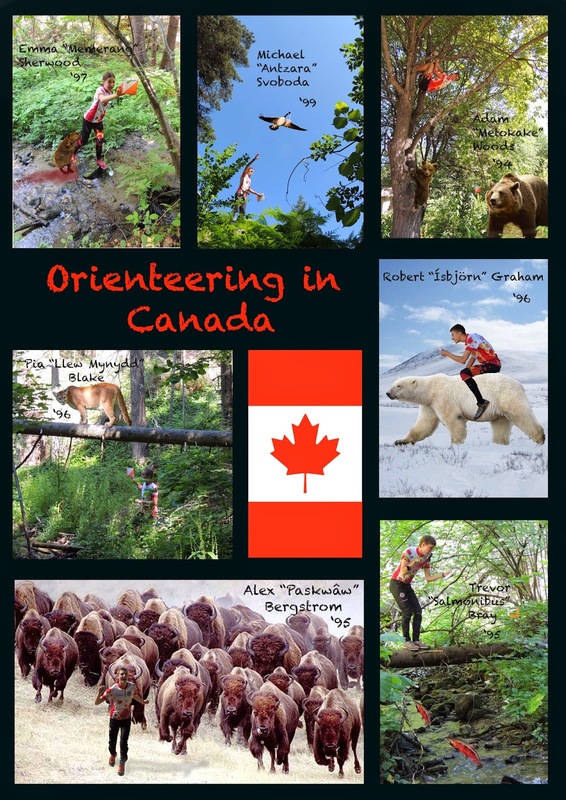 The rest of the team struggled in the very technical difficult terrain and hilly terrain. 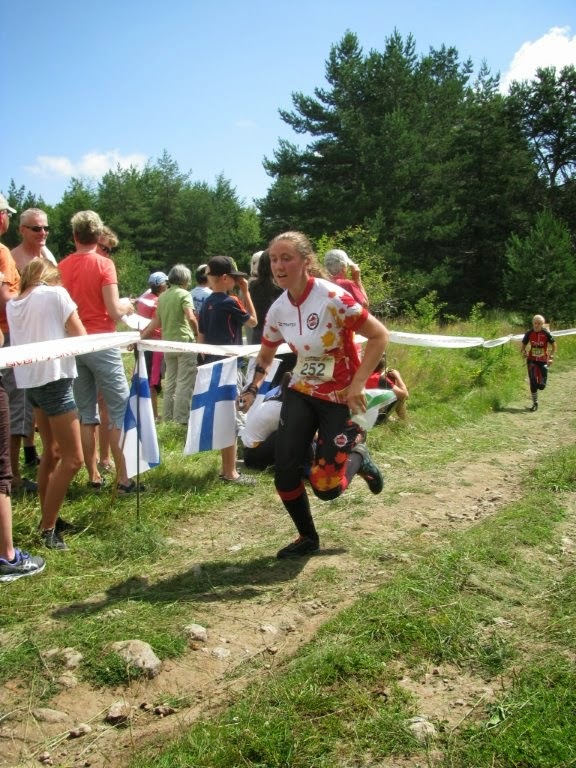 In the women's race, Sina Tommer of Switzerland and Sara Hagstrom of Sweden tied for first place. This is Sara's third medal of the competition. She also has a gold in the sprint and a silver in the long. 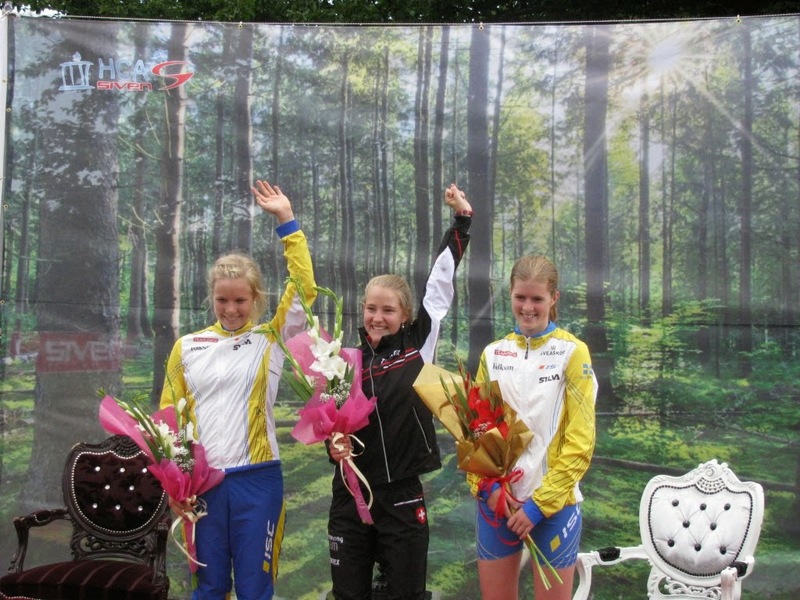 Sara Hagstrom (Swe), Sina Tommer(Swi) and Andrea Svensson (Swe) on the middle distance podium. The men's race was less close. 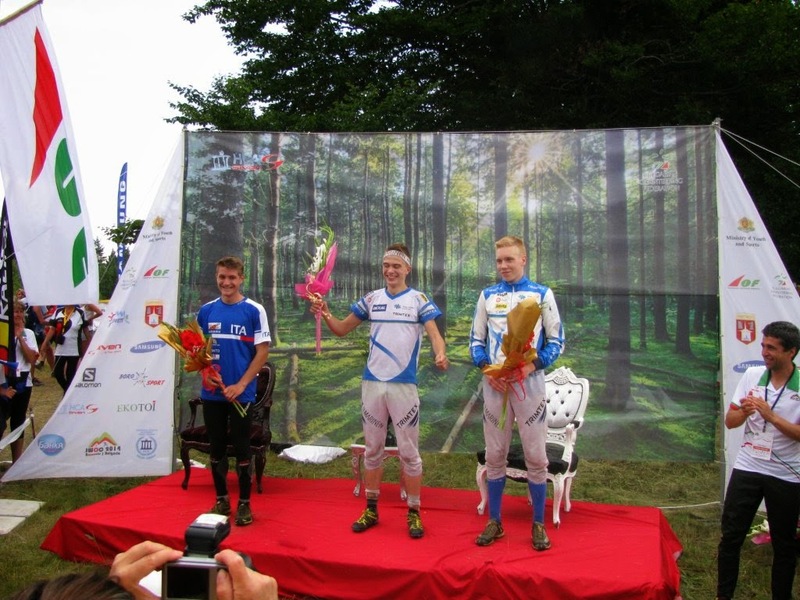 Miika Kirmula of Finland had 1:21 over Riccardo Scalet of Italy and team mate Olli Ojanaho (Fin). 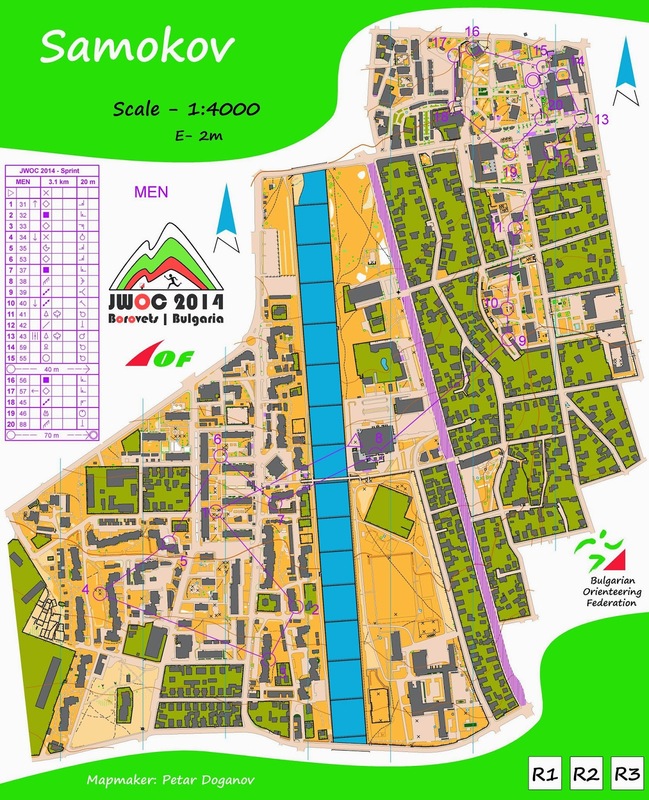 Tomorrow is the the last event of JWOC 2014. The relay! 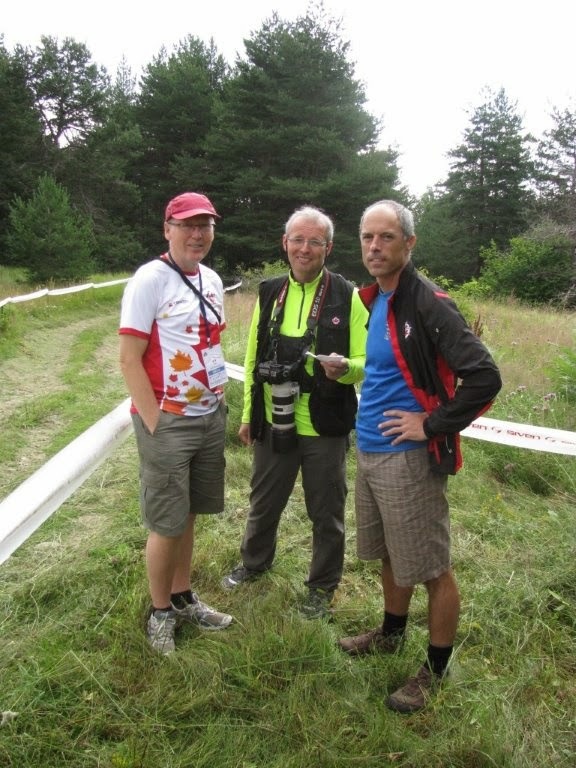 Stefan Bergstrom, Robert Svoboda, and Brian Graham cheer on Team Canada! Robbie Graham giving it his all in the finish chute. 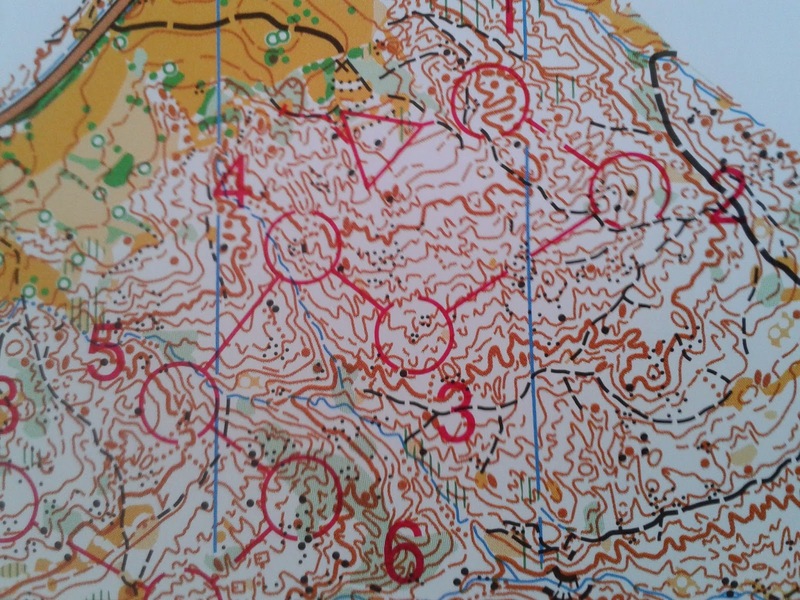 Pia came through the radio control in 21st place, but had a problem with control #10, dropping her 18 places. 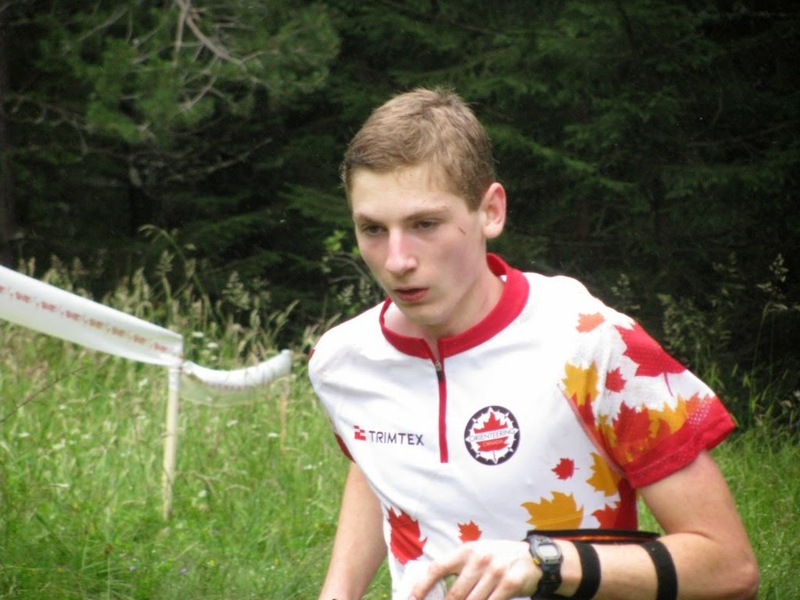 Michael Svoboda having a great first JWOC! Alex Bergstrom had a great race today, only 2:47 out of the A-final - definitely possible with a clean run! 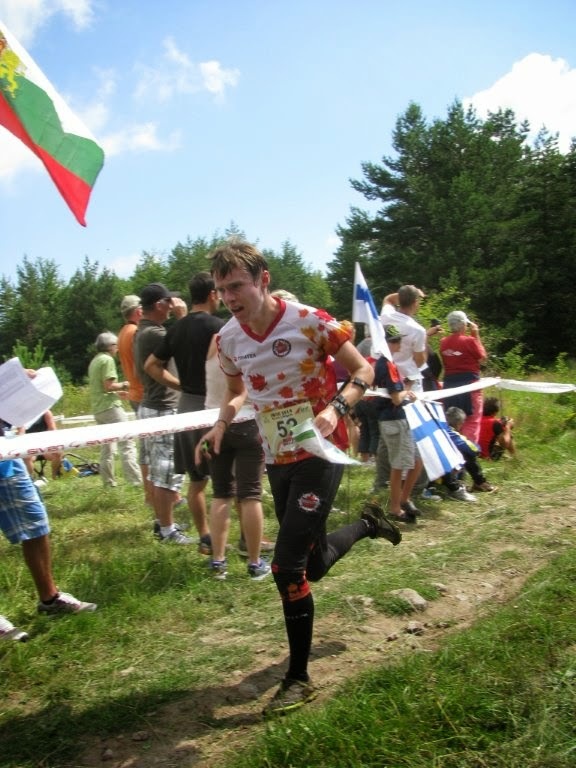 The Middle Distance qualification races took place on the contour rich Zheleznica - North map. The racers were randomly assigned to one of three heats; each minute, three athletes (from separate heats) would start. The top 20 competitors in each qualification race heat qualified for the A-Final. Competitors placed 21-40 in each qualification race heat made ​​the B-final while the remaining competitors made ​​C-final. 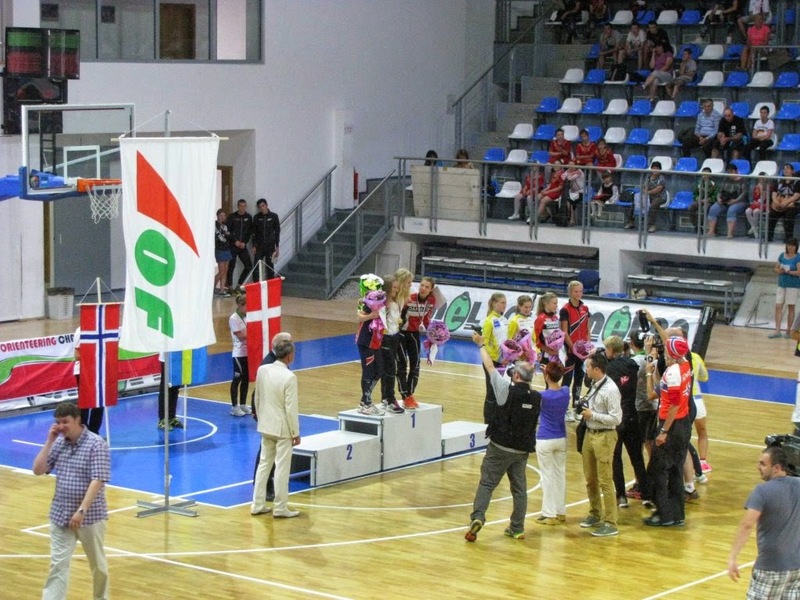 However, due to the number of female racers, it was decided that all females placed 21 or higher would run in the B final. 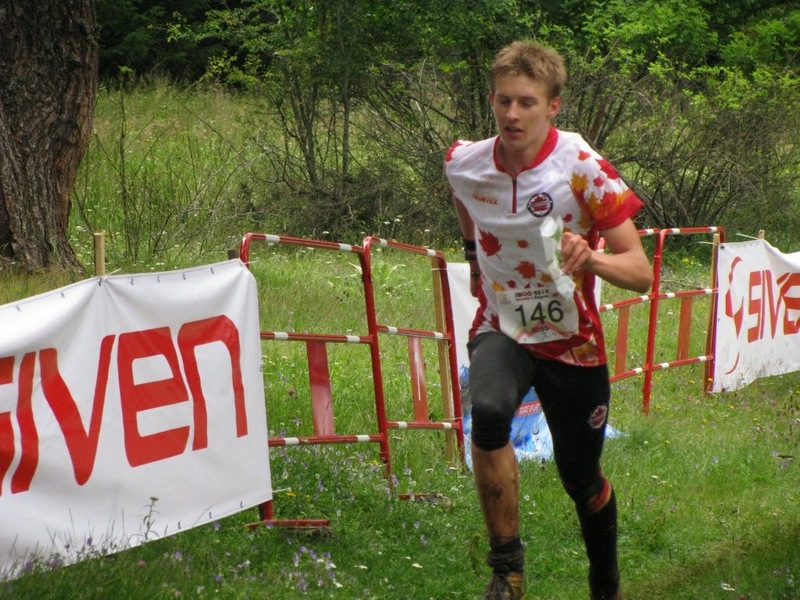 The men's heats were approximately 2.8 km with 180 m of climb while the female courses consisted of 170 m of climb over 2.4 km. 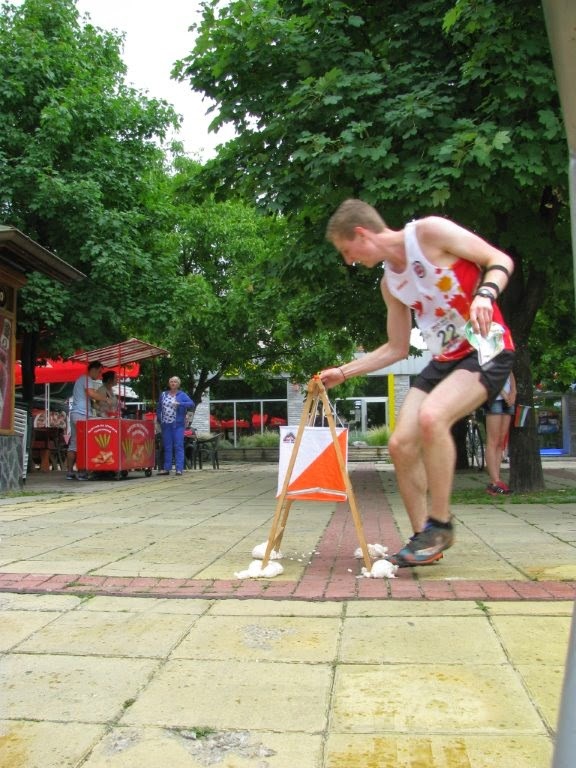 Despite the similarities in distance and climb, the courses for each heat were surprisingly different. 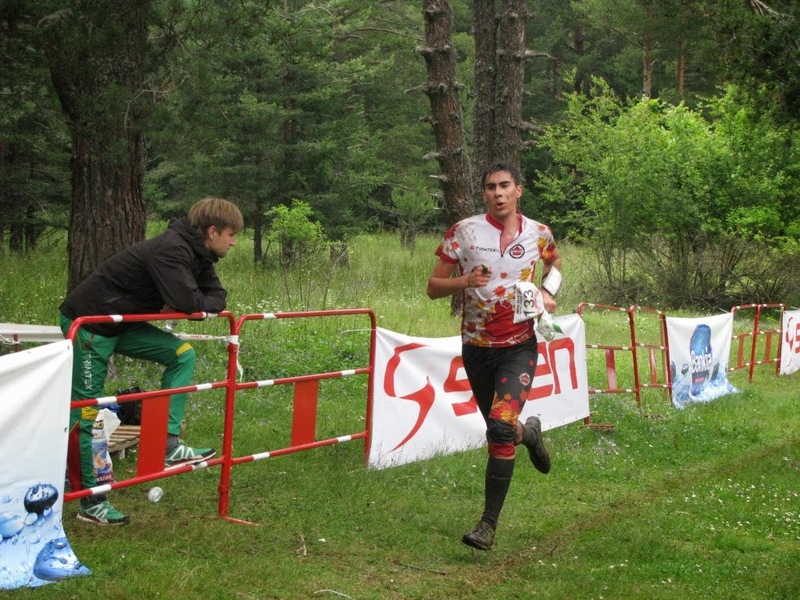 It was common for athletes to pass other racers going in completely the opposite direction. 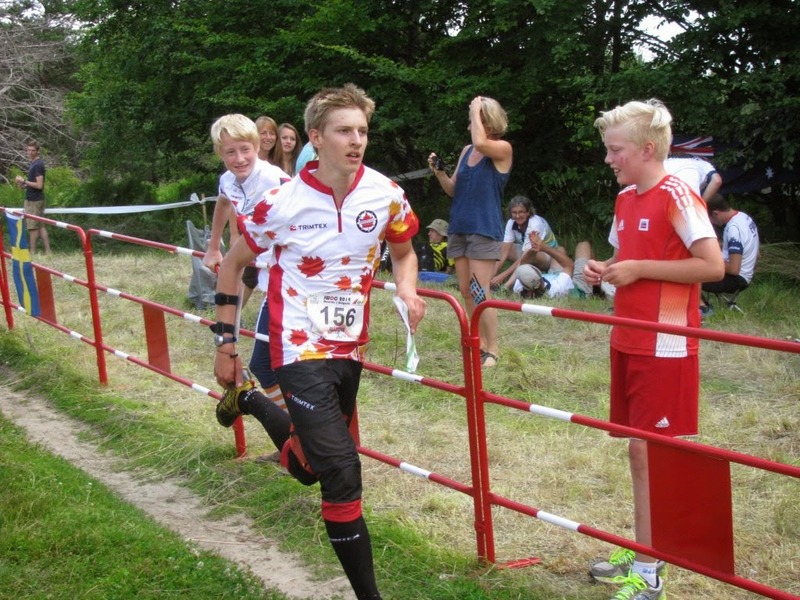 Thanks to the pre JWOC training camp, the Canadian team was prepared to deal with the contour detail. 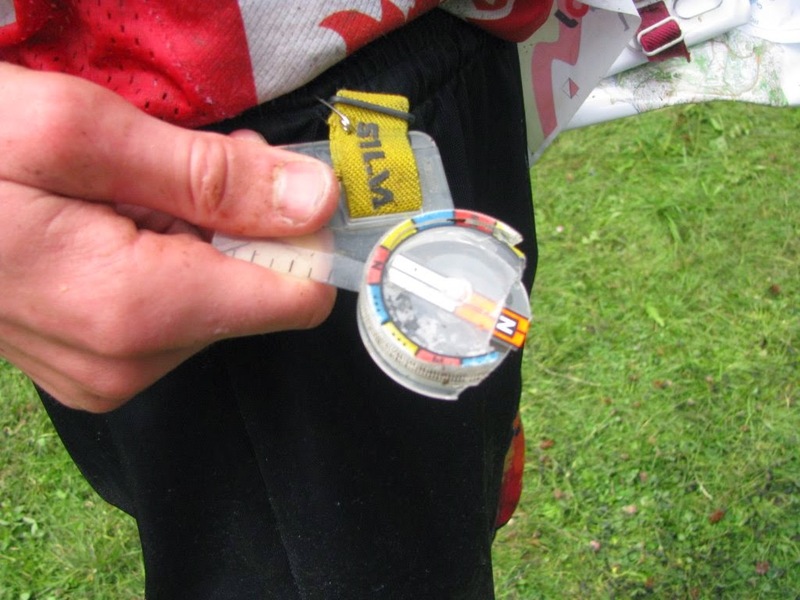 Following the organizers suggestion, many of the Canadian athletes used magnifiers to improve the maps readability. Alex was pleased with his race. His 30:30 run put him 30th in his heat and earned him a place in the B final. Pia and Emma both placed in the 30's and advanced to the B finals. 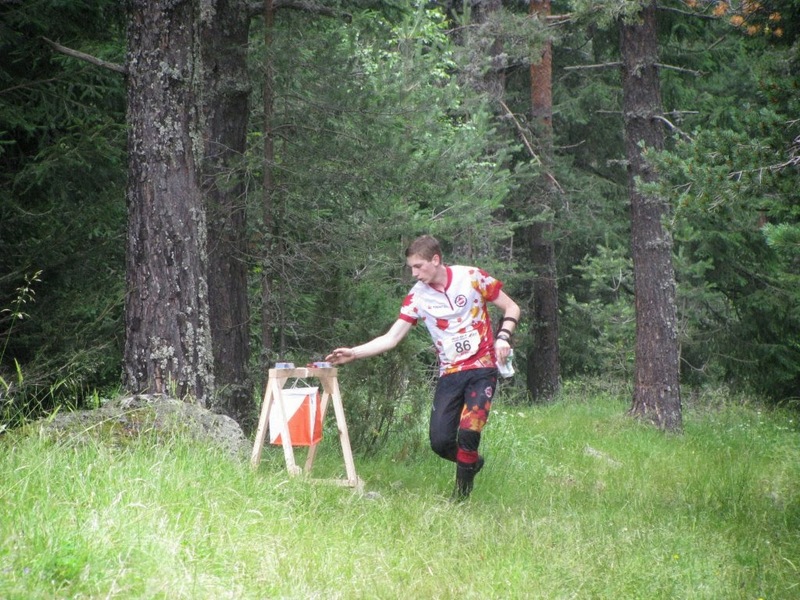 Michael and Trevor made ​​the C final with placing's in the 40's. Robbie and Adam both had mainly clean races but ended in the C final due to struggles with two controls. 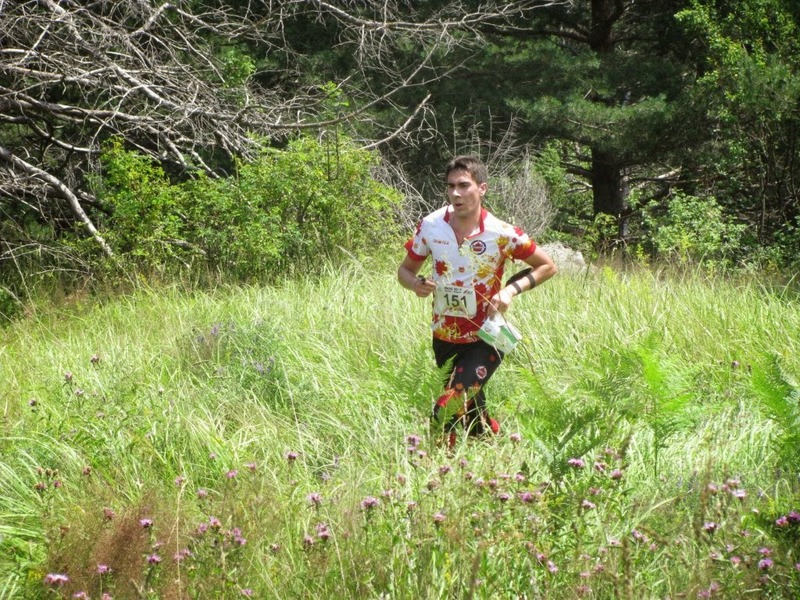 To reach the finish, the athletes had to climb a 40m hill and run through a stretch of waist high grass. It was painful but the Canadians finished strong! 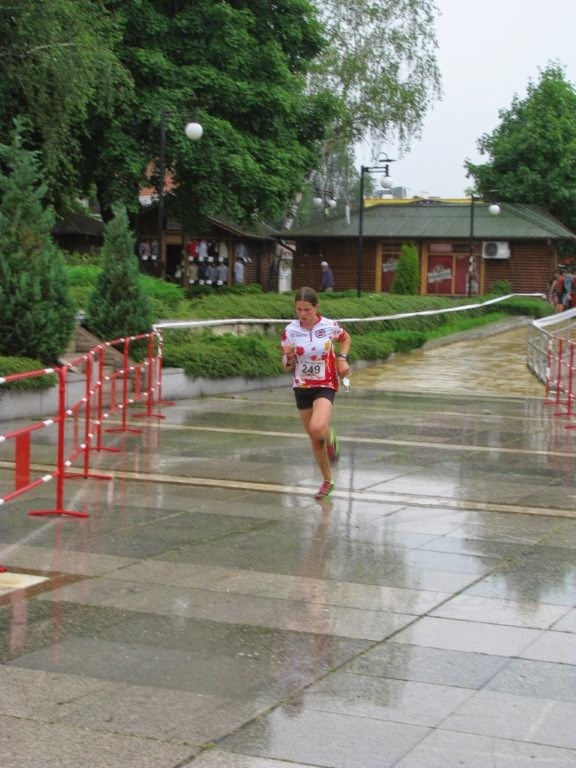 The race was held in the city of Samokov, a classic eastern European city with a large canal that cuts right through the middle. 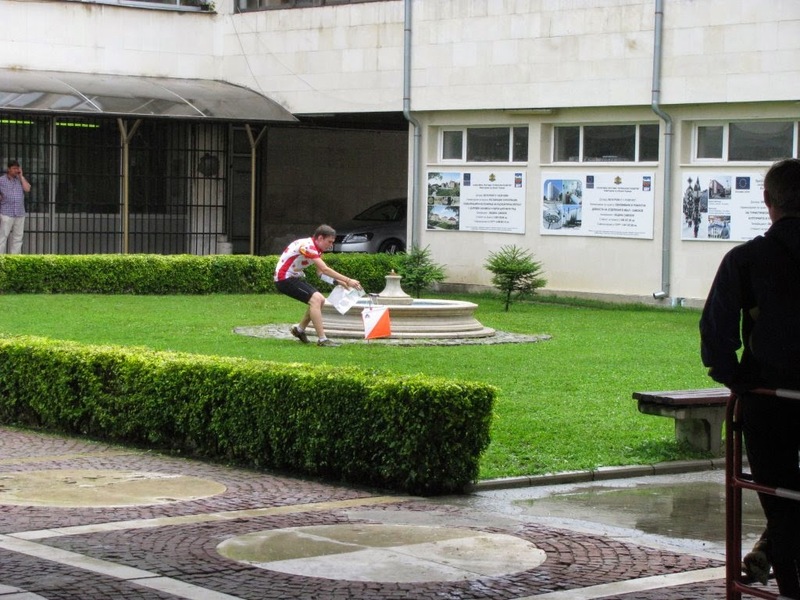 There are play structures at every turn and many small buildings with paths and narrow alleyways between. The quarantine was inside Arena Samokov and was limited to two basketball courts. 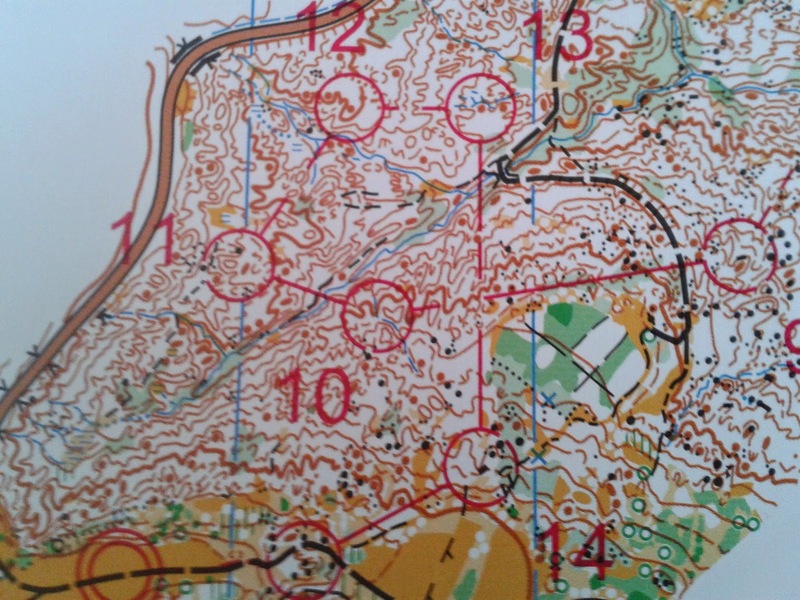 When we entered, each team got some “warm-up maps” which from an orienteer’s perspective were pretty useless. I will admit though, it did help us find the washrooms. The pre-start and start were actually inside the building with the start triangle just outside. On the way to the first control I was about to cross a road when I heard the sound of tires squealing from a car that had stopped just a few meters from me. A little too close for comfort. The western side of the map was quite technical since there were so many tiny buildings and paths leading in every direction. During the training we discussed this, being told by Raphael to look up for the large buildings and use them as our main features. Also during the training, we had looked carefully at the arena as it has an interesting underpass, which payed off since there was a trap there (inside corner at #8). Leg #9 was a relatively long one so I had some time to plan ahead. As I was running down the main road with my face buried in my map, I heard the sounds of people talking right in front of me. I looked up to see a family walking, two parents and two little kids in between holding hands. I was to close and going too fast to go around them so I just broke straight through the two children’s hands. I didn’t look back but I’m sure they were fine. 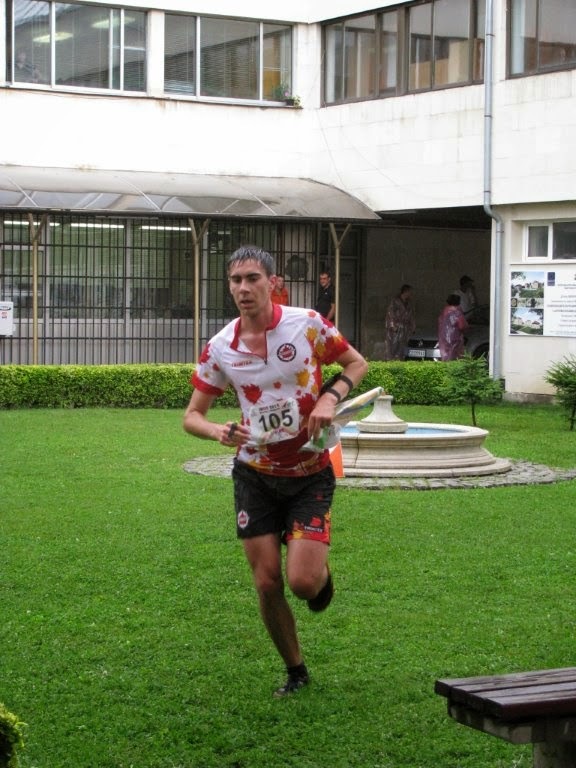 By the time I had finished, the rain had turned in to a downpour, people were sliding all over the place on the marble tiles in the finish area (luckily for me I had rubber studs). Also a number of runners missed #15, the spectator control (large pot of flowers); they just ran right past it. Overall it was a very fun race, I feel I could have pushed a bit more mostly in the first half but I’m glad that no big mistakes were made. 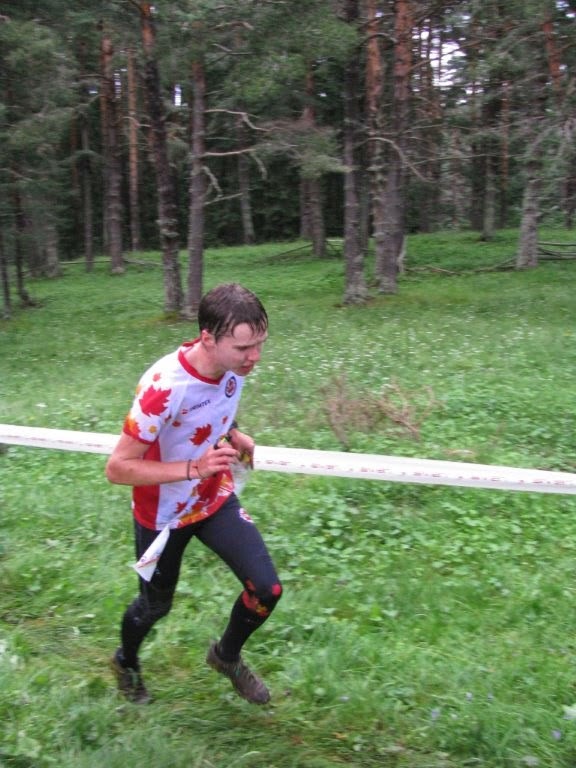 Team Canada athletes participated in the long distance race today at JWOC. Our runners had a tough day in the Long race. 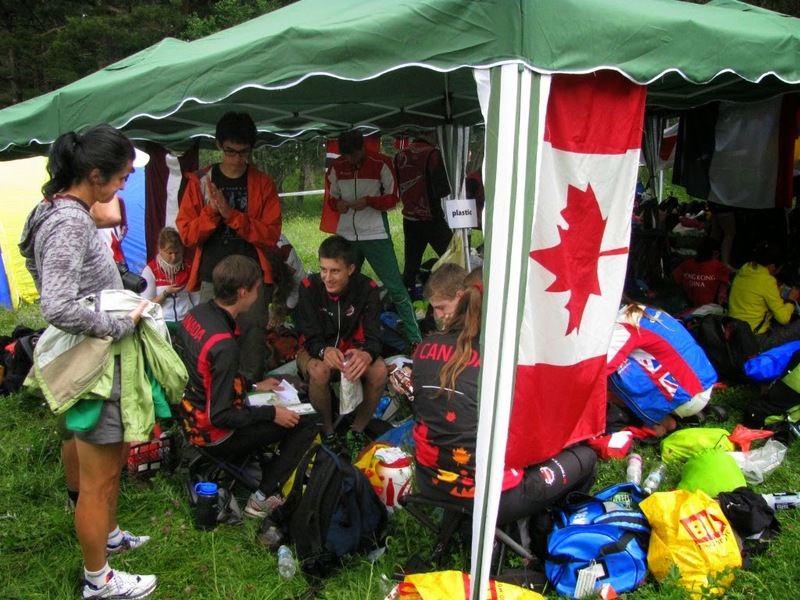 It was a grueling wet and green and very technical terrain resulted in long times for many runners. Trevor Bray and Pia Blake were both satisfied with their runs, but they both had a tough day. Adam and Emma both had long runs. 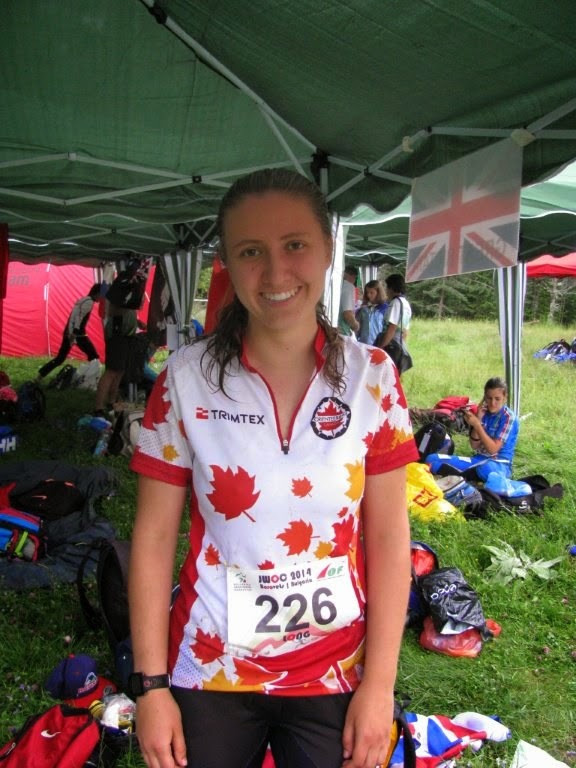 Congratulations to Emma for finishing her first ever long JWOC race; there were a number of DNFs today, so finishing is a great achievement! Alex and Michael both had issues and mis-punched. Robbie was pretty happy with his race, but managed to fall and break his compass. However, he was able to carry on with his spare compass! A good reminder that carrying a small, spare compass is always a good plan! 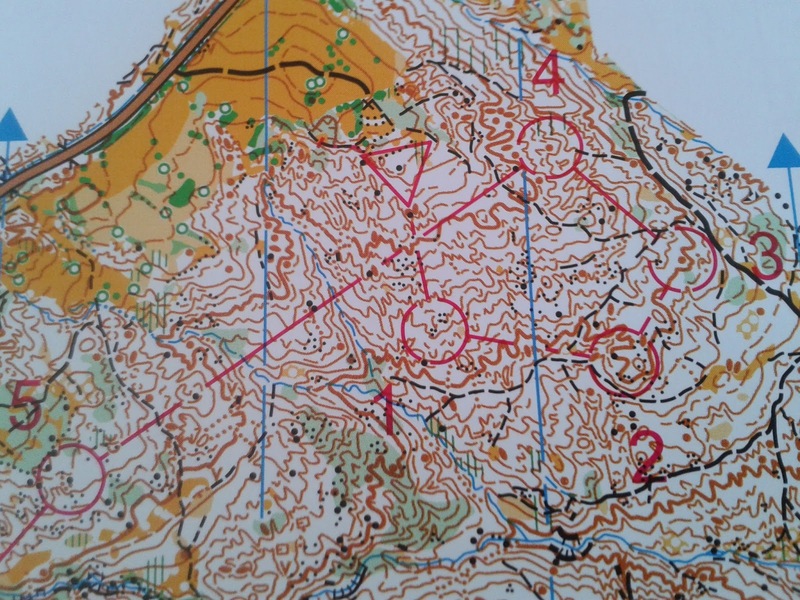 Tomorrow (Wednesday) is a rest day for the team, with the option to take a look at the middle and relay model maps. The next race is the middle qualification on Thursday. In the Middle distance qualification, the runners will randomly be assigned to one of three heats. The competitors placed number 20 or better in each qualification race heat will qualify to A-Final, so there will be 60 male and 60 female runners in the final. Competitors placed 21- 40 in each qualification race heat will run in B-final. The remaining competitors run in C-final. Start intervals for Middle B and Middle C final will be 1 minute only. 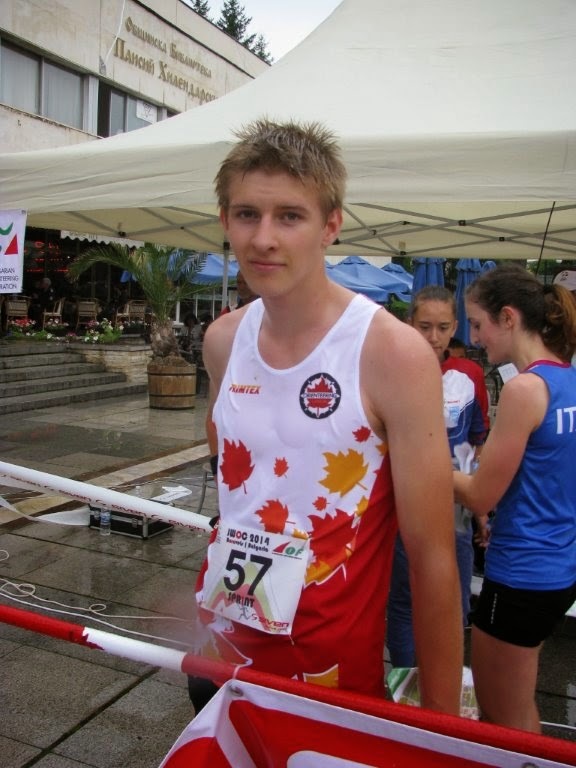 If there is more than one runner on 20th place in a qualification heat, there will be more runners in A final. Trevor finishing, looking a little wet! Emma giving it her all! Pia made a new friend! 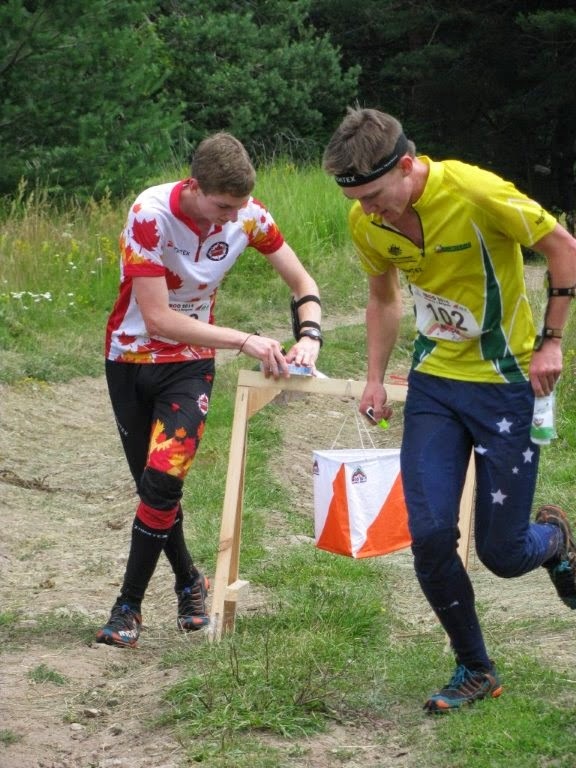 The first race of the Junior World Orienteering Championships (JWOC) was the sprint. 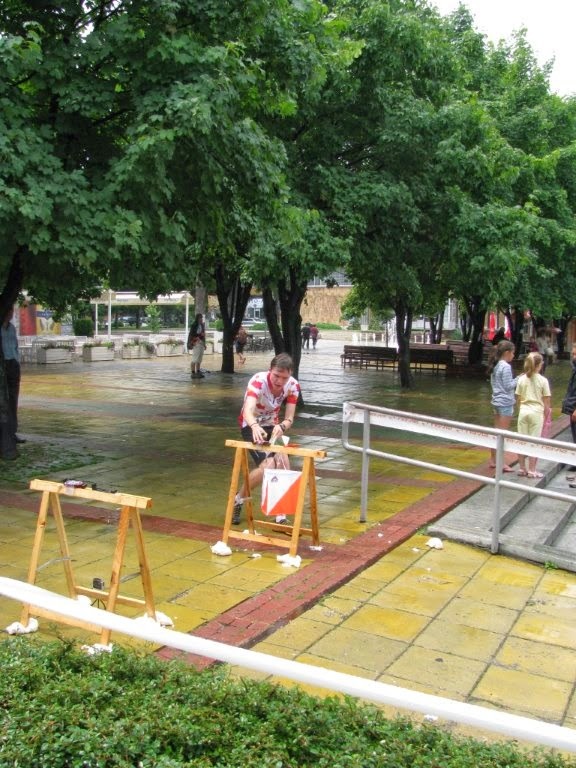 After the first 3rd of the competition the rain started, very heavy and with thunder in the distance. 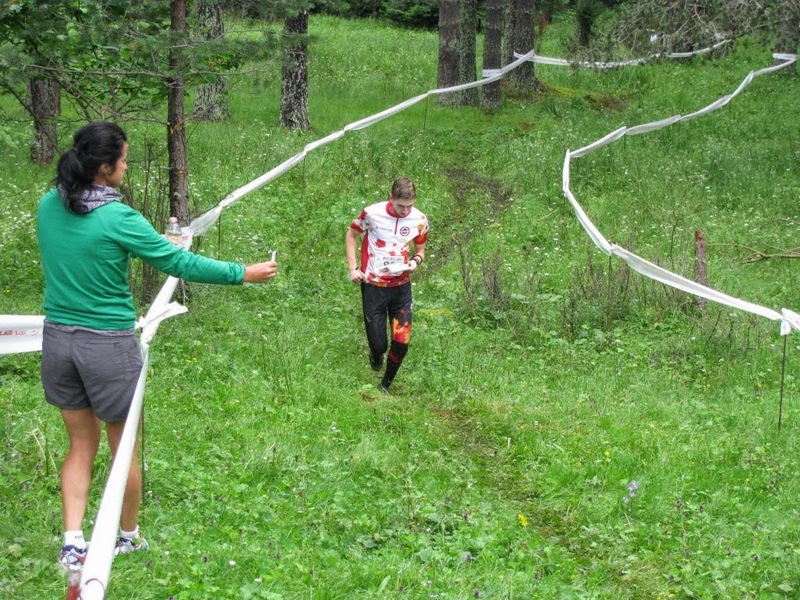 Some of the area, especially the finish chute, become very slippery. Full results, including splits, are available here. Tomorrow is the long distance. All of our athletes are running again. It's a long start window, with the first person starting on 9:01am and the last around 2:30pm! 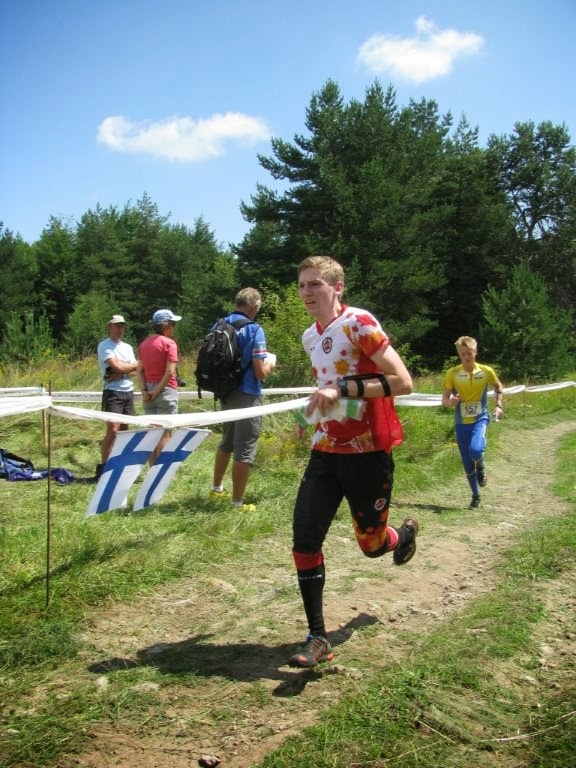 You can view the start lists here, and follow along the results on the JWOC website. Unfortunately none of our athletes have been chosen to wear a GPS device for the long race. Let's hear your support for our athletes. GO CANADA GO!